A newlywed British couple should not have to make a travel insurance claim after being found safe and well in the Canadian backwoods. Ben Davies and his wife Caroline, from Leintwardine in Herefordshire, were not aware of the huge search that was launched after they were reported missing by worried relatives. The couple had gone exploring the remote countryside in British Columbia and were enjoying the trip without any knowledge of the concerns raised about their safety. 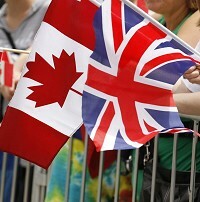 They had not been in touch with relatives since June 22, but were expected to be back in Vancouver on July 4. Both Ben, 37, and Caroline, 28, were described as experienced campers, but when they failed to turn up for six more days their families contacted the police. An officer noticed the black pick-up truck the couple had been using, near Lillooet in British Columbia. Canadian police said: "The couple were apparently enjoying their vacation, unaware that they had been reported missing."